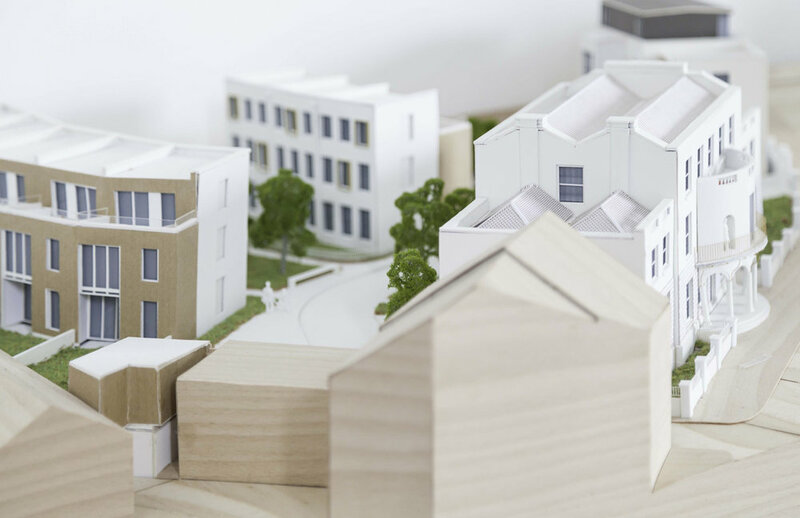 Contemporary new build houses and flats set within landscaped grounds of the Grade II* Listed Townley House. We assisted a local developer to design and plan for the change of use and Listed Building consent for the conversion, refurbishment and restoration of the Grade-II* Townley House to provide 10 high quality private apartments and 9 new-build town houses including 4 affordable apartments, set within a gated development comprising extensive landscaped grounds. The site is located centrally, north off Ramsgate Town Centre on the prominent Chatham Street. 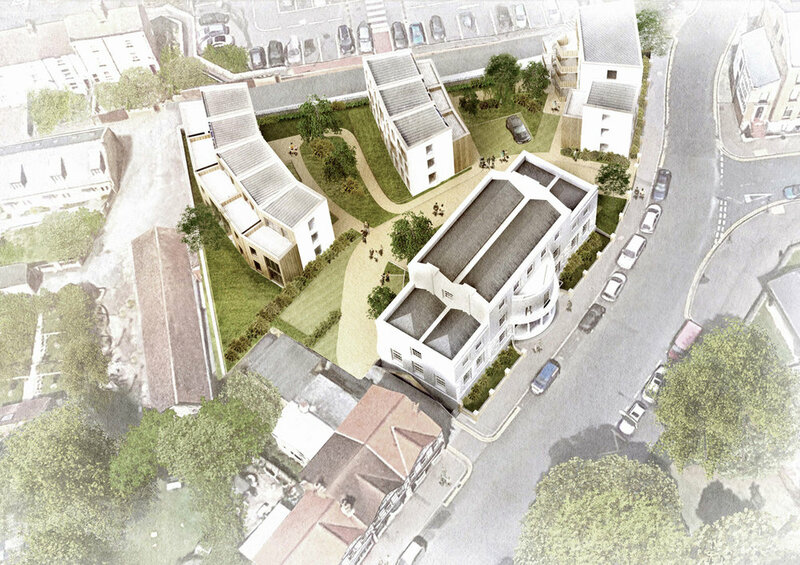 The proposal features two new build terraces containing high quality townhouses set behind Townley House radiating off each wing to create a landscaped communal centre. Affordable apartments including one further townhouse face onto the public Chatham Street. New-builds will be built using modern methods of construction and will be energy efficient for occupants. External materials feature crisp modern detailing with finishes ranging from self clean through colour render, bronze coloured metalwork including aluminium framed glazing and natural cedar. The gated scheme provides vehicular access by way of a permeable road at pavement level and private car parking over 'grasscrete' helps encourage further greening of the site. Self contained bicycle storage is accessed off pedestrian routes. The site features a number of communal areas interlinked by extensive greenery including trees, shrubs and flowers.